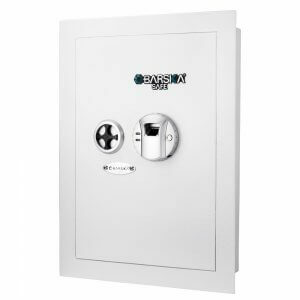 Barska offers the innovative Barska Biometric Floor Safe for those interested in an alternative method of keeping valuables safe and hidden. This in-wall safe sits virtually flush with its surroundings, allowing certain types of picture frames to be placed on top of it for further concealment. 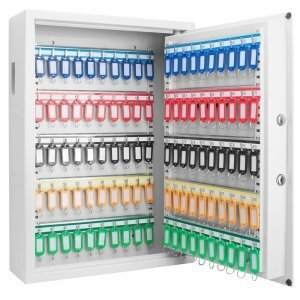 This wall safe anchors to the wall studs with four steel bolts that can only be accessed from the inside, ensuring that the safe cannot be pried out from its position within the wall. 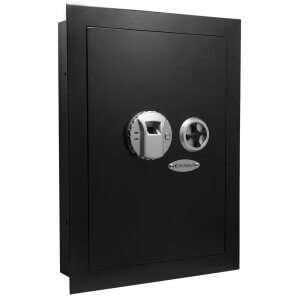 The solid steel construction and anti-prying safe door ensures that only authorized users who have the correct key can access the valuable contents within the safe. 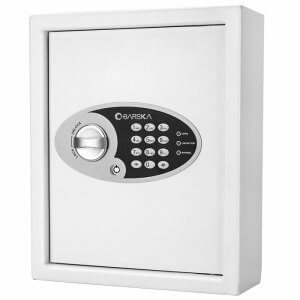 The Barska Biometric Wall Safe from Barska differs from traditional safes in that it has been designed to be mounted within a wall, and can either be concealed with a picture or left exposed. 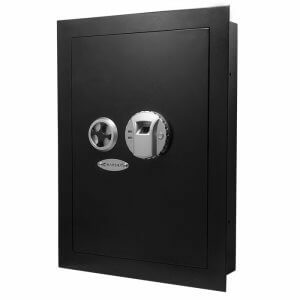 Installing this safe into a wall and covering it with a picture virtually eliminates the possibility of the safes presence being discovered. 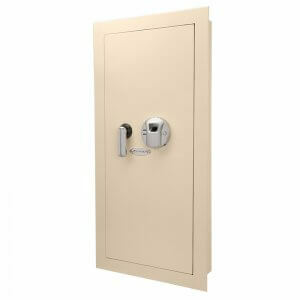 Keeping the safe hidden reduces the overall chance of someone trying to gain unauthorized access to the safe, which provides further protection for the valuables inside. 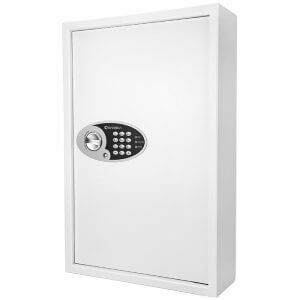 Should someone discover the safe and attempt to break in, two solid-steel locking deadbolts and an anti-pry safe door ensure that unauthorized access is simply not possible. 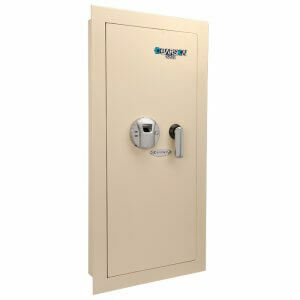 Much like traditional safes, this biometric safe can be anchored to the ground to prevent someone from simply walking off with it.